How can I dance fast and easy? I'm really not used to fast music; I am used to dance to classical and slow music. I have experienced ballet on my past years but now I have enrolled for hip hop classes and I find it so difficult. I don't have problems with shaking my body but I have problems in copying up fast music. I find it so difficult and confusing, causing me to panic and lose the beat and I can't really memorize the steps directly unlike others; it takes me so much practice to get it. Can anyone give me any advice on how to dance fast and easy? Thanks. It seems that I am adjusting. It's my first time and I look like stupid. Comments for How can I dance fast and easy? If you are practicing a type of dance that is new for you, it is completely normal that it takes you more time than usual to memorize the steps (even if you have experience with ballet). The type of memory we use for movement and coordination is specific for each type of dance. If hip-hop is more difficult for you now, it only means that you are facing something new. The key for everything that has to do with movement skills is: PRACTICE. In other words: REPEATING. If you want to memorize as fast as others in your group, you should practice the steps or choreographies alone, at home, or wherever you can do it. If you know which choreography will be danced in the class, the best thing is that you study it in advance, during the same day. If the teacher changes the choreography for every class, then the way to improve your memorizing skills is to take more classes. But please, do not compare your self with others. You can not solve the fact that they are more experienced in hop hop, or in this type of class than you. Every dancer has her/his own learning history and rhythm and comparing your self with more experienced people can make you loose enthusiasm. Maybe the class you are attending is designed for a group of a more advanced level. You could ask your teacher if s/he has other groups that are more appropriate for you. Taking a class of the level that really fits you is one of the best strategies to improve anything without getting overwhelmed. Just keep trying and practicing as much as you can. You'll see how your memorizing skills will develop. Join in and write your own page! It's easy to do. How? 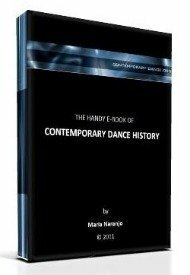 Simply click here to return to Dance Questions About Technique.